This section of the dam had been attached to the section that remained upright, known as the tombstone. This section broke off, skidded out feet-first and landed on its back in front of (immediately south of) the tombstone. 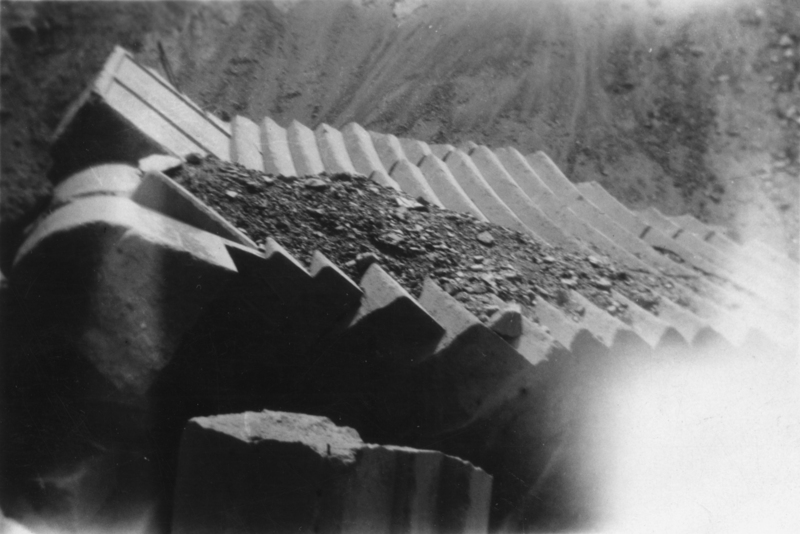 Photo by Hetta Laurena Carter a few weeks after the St. Francis Dam broke. Further reading: Failing St. Francis: Water Pressure or Political Pressure? HC2807: 9600 dpi jpeg from original print.